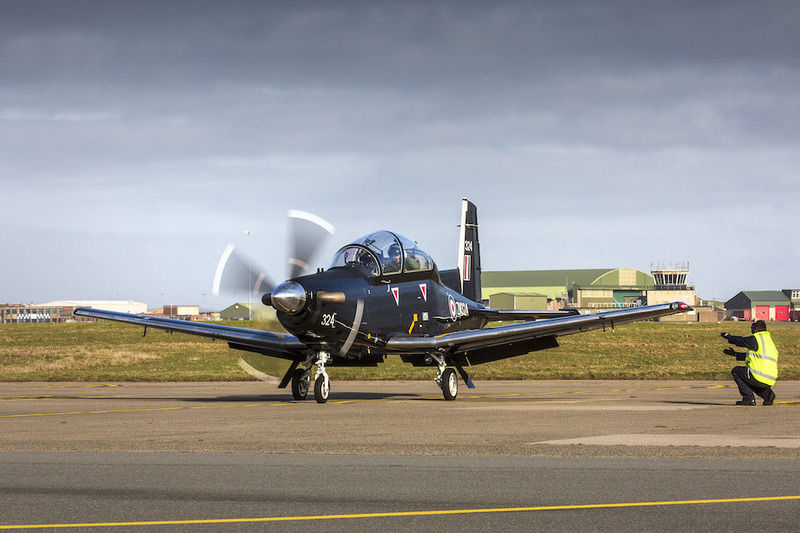 The first flight of the Texan T1 state-of-the-art training aircraft has been completed at RAF Valley. It’s crucial that our fighter pilots of the future train on the very best equipment before reaching the front line to protect UK airspace at home and defend our interests abroad. The introduction of the Texan T1 into one of NATO’s most advanced Fighter Pilot training programmes demonstrates the RAF’s commitment to investing in world-leading technology to maintain a military advantage over our adversaries. Texan T1 aircraft at RAF Valley. The Texan T1 aircraft, due to replace the Tucano in the fast jet training programme, made history with its first flight at RAF Valley. Under the Military Flying Training System, fighter pilots will train on world-leading aircraft. They start on the Prefect, move on to the Texan and finish on the Hawk T2, making the training process more efficient and far more representative of the aircraft types they will eventually fly. The Texan is the ideal lead-in trainer to the Hawk T2 advanced jet trainer that they will fly here at Valley. It was a privilege to be the first RAF pilot to fly a Texan T1 from an RAF station today, and to have been part of the team that has brought this excellent training aircraft into service. The Texan is a great aircraft to fly, extremely capable and has the ability to better prepare students for the demands of modern fast jet flying than ever before. With the first flight now complete, the whole Texan team can begin looking forward to teaching students in the very near future.